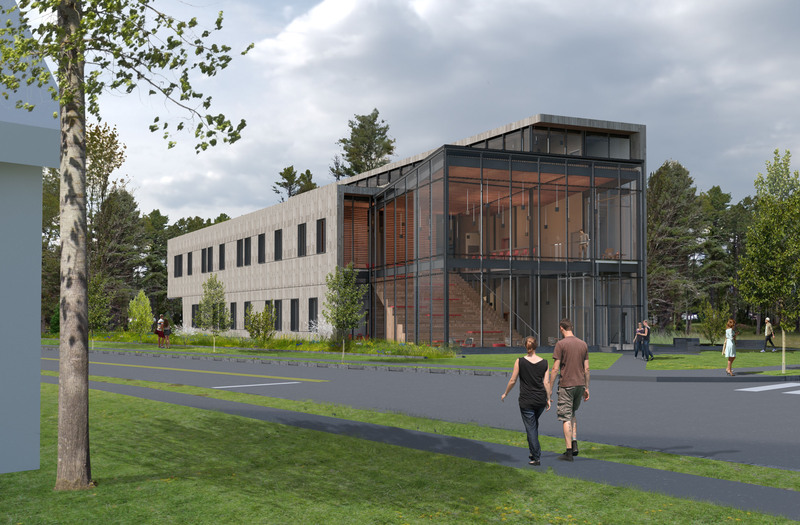 A formal groundbreaking ceremony for the Roux Center for the Environment—a new environmental studies building to be located on the corner of College Street and Harpswell Road—will take place on May 12. The project remains on track to open in the fall of 2018. The Center was approved by the Brunswick Planning Board on March 28 and awaits official authorization by the Board of Trustees. Construction is expected to begin on June 1. 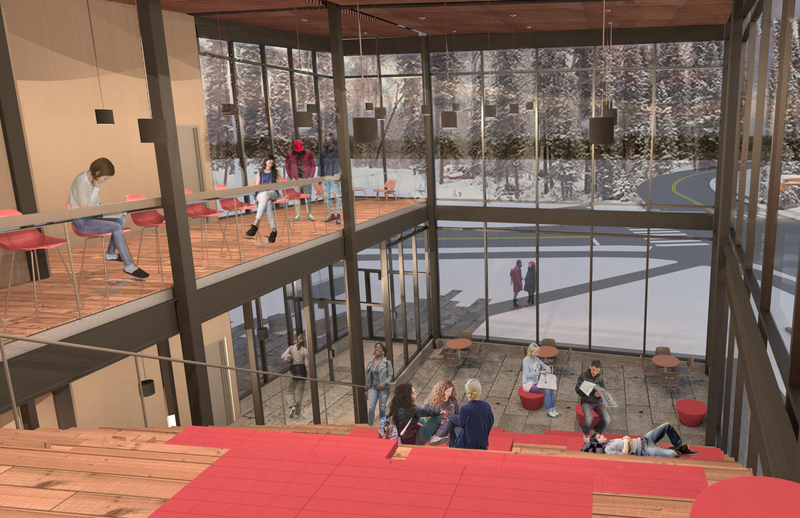 The two-and-a-half story building will feature a large glass atrium with stadium-style bench seating as well as a terraced deck and a “living roof” with plants that students can use for research. Senior Vice President for Finance and Treasurer Matt Orlando emphasized the openness and versatility of the Roux Center’s design. 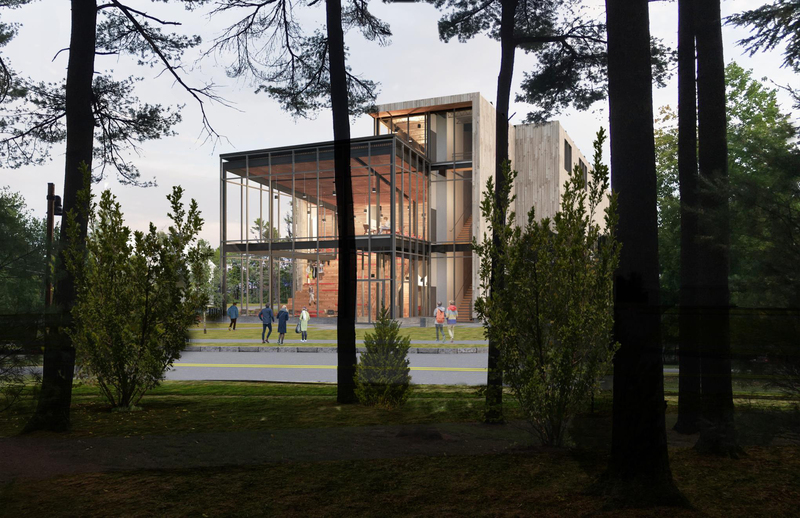 Picture This: Renderings of the Roux Center for the Environment, the new environmental studies building that will be constructed on the corner of College Street and Harpswell Road. The building is set to be the first on campus to attain Leadership in Energy and Environmental Design (LEED) Platinum certification, according to the guidelines established by the U.S. Green Building Council. The College, which does not own all of the abutting property, has worked closely with the Roux Center’s future neighbors. Associate Professor of History and Environmental Studies and Director of the Environmental Studies Program Matthew Klingle said the Roux Center’s classroom and office setup will demonstrate the College’s interdisciplinary approach to the study of the environment. Floors in the Center will not be assigned by department, which Klingle hopes will foster cooperation between professors and students across different fields. The building will not have its own parking, and users will be expected to utilize the lot behind the Asian Studies building or the Coffin Street lot. 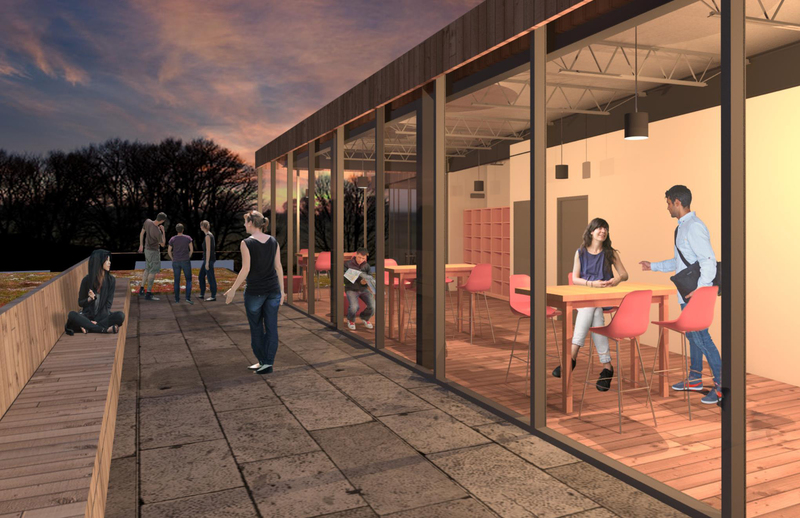 For the past year, a group of faculty and staff known as the Roux Committee has been working with contractors and architects from Cambridge Seven Associates Inc. in order to design a building that best serves the needs of the College. Their efforts will continue even as construction begins. The Roux Center for the Environment was funded by a $10 million gift from Barbara and David Roux, which has since been augmented by other funds secured by President Rose and the Office of Development. 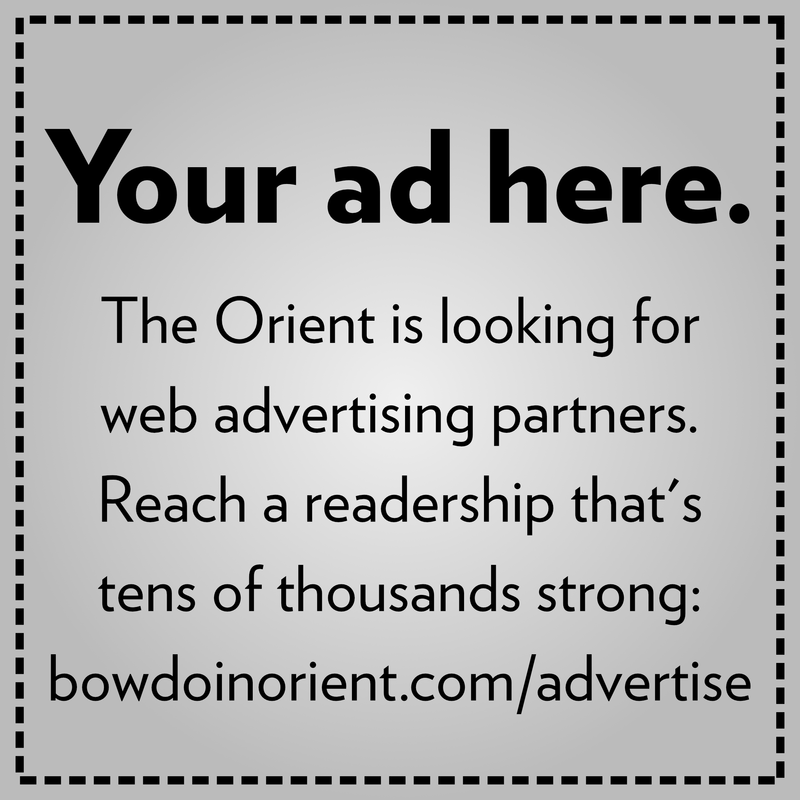 Eduardo Jaramillo contributed to this report. Brunswick Landing—the site of the former naval base, located approximately 10 minutes from the College—will become the site of a production facility for amphibious sport aircraft, the Times Record reported on April 4. Atol Avion, a Finnish company, partnered with an American investor group to form Atol USA, and plans to have its North American headquarters at Brunswick Landing, according to the Portland Press Herald. Susan Faludi, research associate in Gender, Sexuality and Women’s Studies (GSWS), was named a finalist for the Pulitzer Prize in the autobiography category for her memoir, “In the Darkroom,” (Metropolitan Books). The book explored her relationship with her father, a Hungarian Jewish Holocaust survivor who underwent gender reassignment surgery at age 76. Interim Dean for Academic Affairs Jennifer Scanlon will return to the role of full-time Professor of Gender, Sexuality and Women’s Studies (GSWS) next semester. 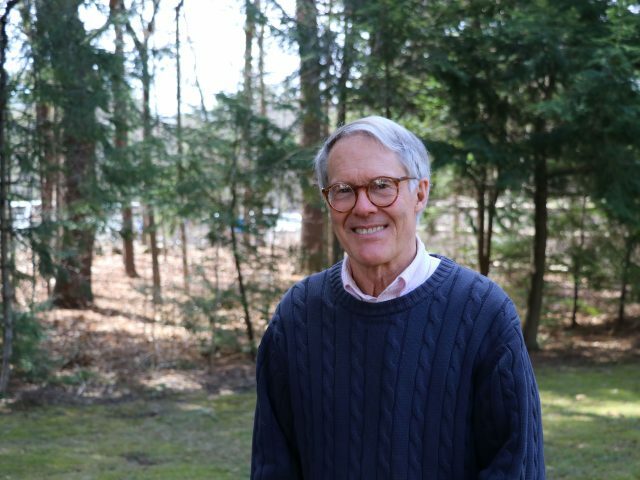 Scanlon has served as interim dean for academic affairs for the past two years and was associate dean for two years before that, while also teaching part-time.